Apple CEO Tim Cook on Thursday published a moving essay in Bloomberg Businessweek in which he publicly announced for the first time that he is gay. Cook is the first CEO of a Fortune 500 company to publicly come out. Cook is famously private and said he doesn’t think of himself as an activist, but decided to speak out to help others. 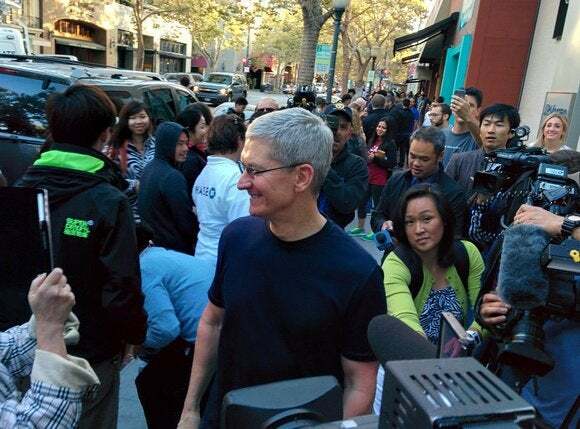 “If hearing that the CEO of Apple is gay can help someone struggling to come to terms with who he or she is, or bring comfort to anyone who feels alone, or inspire people to insist on their equality, then it’s worth the trade-off with my own privacy,” Cook wrote. As a company, Apple is firmly in support of marriage equality and has opposed legislation considered discriminatory toward the LBGTQ community. The company supports workplace equality legislation in its home state of California and earlier this year took a stand against Arizona legislation that would have allowed businesses to refuse service on the basis of religion. Bloomberg Businessweek editor Josh Tyrangiel said in a video accompanying the editorial that Apple’s board of directors supported Cook’s decision to publicly announce that he’s gay.